For Cincinnati Enquirer journalist Carol Motsinger and photographer Meg Vogel, whose Sunday front-pager was also carried by Gannett sister publication The Kentucky Enquirer, the ring of fire around the assignment of profiling the U.S. location where the forthcoming Aug. 21 eclipse will be most prevalent is a previous event that took place in Hopkinsville, Ky. on the same date. Joann Smithey told us all about it at a park near the site of the UFO landing in Kelly, about eight miles out from Hoptown. She’s an organizer of the Kelly Little Green Men Days Festival there. The 2017 Kelly Little Green Men Days Festival (Aug. 18-21) will close with a raffle for a Mitsubishi Eclipse, sponsored by a seize-the-night dealership in Clarksville, Tenn. When Motsinger and Vogel first hit Hopkinsville, the only bit of litter they saw was a wrapper for some Spearmint Eclipse gum. Seriously. And this year, there is also a separate weekend EclipseCon; among the special guests will be The Walking Dead’s Santiago Cirilo, who once served at nearby Fort Campbell. 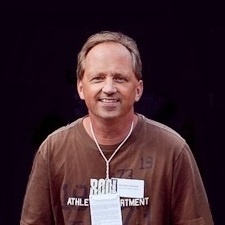 These details and every other aspect of the Aug. 18-21 festivities are crisply mapped out on the city’s eclipsville.com website. At press time, Hopkinsville has confirmed there will be visitors from at least 16 different countries and 36 U.S. states. It has been a long time coming. Hopkinsville was first notified that they would be the center of the 2017 eclipsed earth some ten years ago. 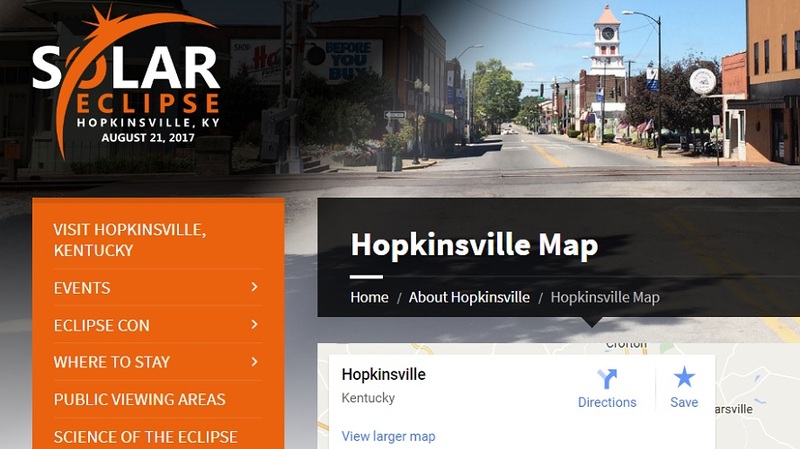 And last fall, as the piece notes, Brooke Jung very opportunistically pitched herself to the mayor as the potential solar eclipse marketing and events consultant Hopkinsville needed. The mayor said yes.